One of the recipients for the 2017 campaign was Camp Casey. Camp Casey is a 501(c)(3) nonprofit horseback riding program for children with cancer and rare blood disorders. 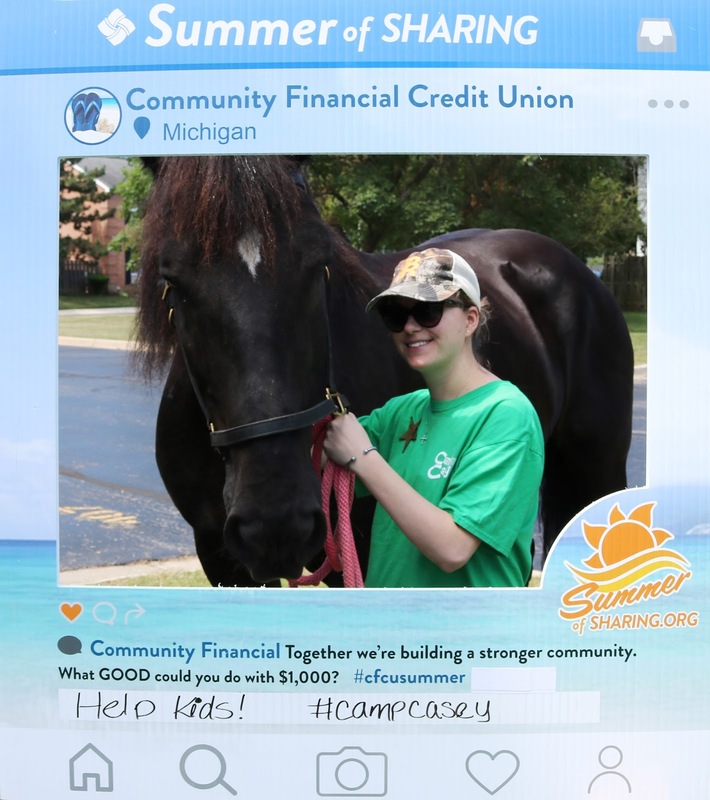 Through generous donations and compassionate volunteers, Camp Casey helps spread the healing power of horses to Michigan families. Camp Casey provides free house visits, known as Horsey House Calls, to children with cancer and their families. These Horsey House Calls enable families to horse around in their own backyards! The visits are normally kept as a surprise for the children and the Camp Casey team brings a horse, an arts-and-craft project, and food for a camp-like home visit and fun afternoon! The $1,000 Summer of Sharing donation from Community Financial will provide one Horsey House Call for a child with cancer and his/her family and friends. An Equine Therapist will be accompanied by 6 volunteers to give a child and up to 10 friends a day they'll never forget. To learn more about Camp Casey and the work they do across Michigan visit www.camp-casey.org. The Summer of Sharing campaign runs through September 1. This year Community Financial is donating $60,000 to the community.